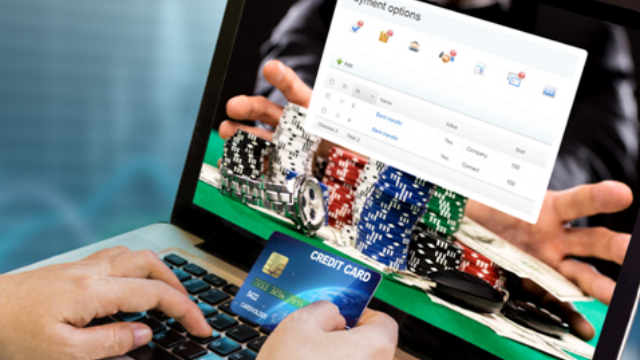 Best Online Casino Offers: There’s plenty for casino players to get excited about this month. There are simply hundreds of superb free spins and bonus offers out there for you to take advantage of. But we know it can be a real drag trawling through all those site lists and brand reviews trying to find the one that’s right for you. So, we’ve done all the hard work for you. And here it is – our list of the five best online casino offers available in May 2017. 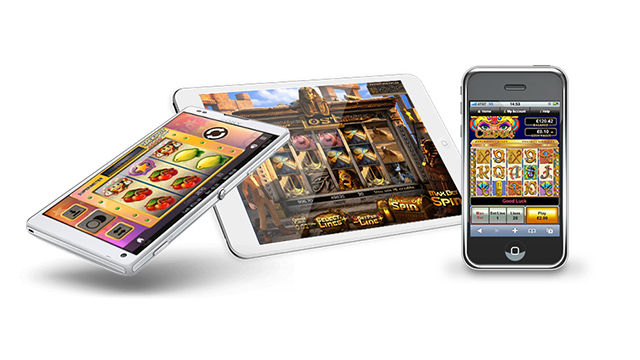 Of course, if you are looking for more choice, you can always browse our uk casino bonuses for further deals. This absolute whopper of a bonus package must be amongst the best on the market currently. Feast your eyes on £3,500 in bonus cash PLUS 200 Free Spins on NetEnt’s finest – that includes Starburst, Gonzo’s Quest AND Theme Park: Tickets of Fortune. You can collect these huge bonus deals on your first three deposits today after signing up at Miami Dice Casino. They come with a reasonable 35x wagering requirements on deposit and bonus, and 35x your winnings on the Free Spins. Miami Dice is a favourite amongst the team here at Offersville – launched in late 2016 it has a tasty array of slots, from the likes of NetEnt, Micograming and IGT as well as a superb Live Casino from Evolution. You can read our Miami Dice Casino Review here. If you haven’t already caught on, it’s about time you checked this little beauty out. Slingo are offering a fantastic 50 Free Spins (no deposit needed), plus 300% extra up to £150 on your first deposit, AND, another FIVE free goes on Slingo Riches when you make your second deposit. Your 50 spins are an EXCLUSIVE for Offersville.com readers, so make sure you join from this page, and nowhere else, when you’re ready to claim them. Slingo.com is host to games from NetEnt and IGT alongside exclusive versions of the classic game Slingo, now hugely popular in the UK. You can read our Slingo Casino Review here. Ok, it’s an oldie, but it’s still a goodie! 888 must be one of the most recognised and trusted names in the business. And their long-running no deposit casino bonus offer still keeps giving with a minimum bonus of £15, and a possible jackpot of £888 for new players who spin the wheel on sign up. But that’s not all, depositors are also treated to up to £1,500 in bonuses spread across the first FIVE deposits made. You can read our 888 Casino Review here. BIG Free Spins worth £1 each! That’s what Betsafe are giving away to new customers with their first three deposits. These nuggets are for play on NetEnt’s Gonzo’s Quest slot and you get 25 with your first deposit and 10 with your third deposit. And just for good measure you get a further 10 normal free spins with your second deposit. All this, plus up to £1,000 in bonuses! This whopping bonus package shouldn’t be overlooked. Especially when you consider Betsafe is home to a cracking collection of slots form the likes of Microgaming, NetEnt, Play n Go and WMS. Interested? Sign up now, or read our Betsafe Casino Review for more information. We saved this til last – one of our current favourites from another evergreen casino brand. Party are currently giving away 80 free spins on Starburst™ slots for first time depositors. That’s a nice haul when you consider you only have to deposit £10 to qualify. This, plus you’ll get up to £100 on top of your first deposit – a nice 100% match bonus. Not tried Party before? Well now’s your chance. 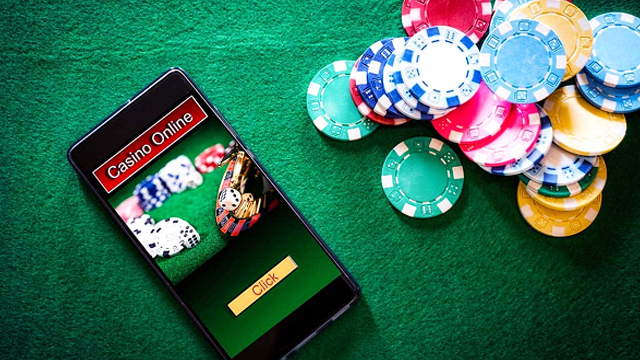 Look out for top slots from the likes of NetEnt, IGT, Barcrest, Eyecon and Evolution, as well as an excellent Live Dealer Suite for the table game players. Read our Party Casino Review for more information. 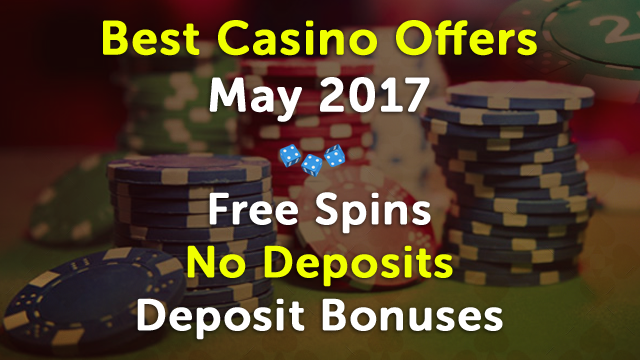 So that’s it – a short and sweet listing of the 5 best online casino offers for May 2017. We hope you enjoy them!